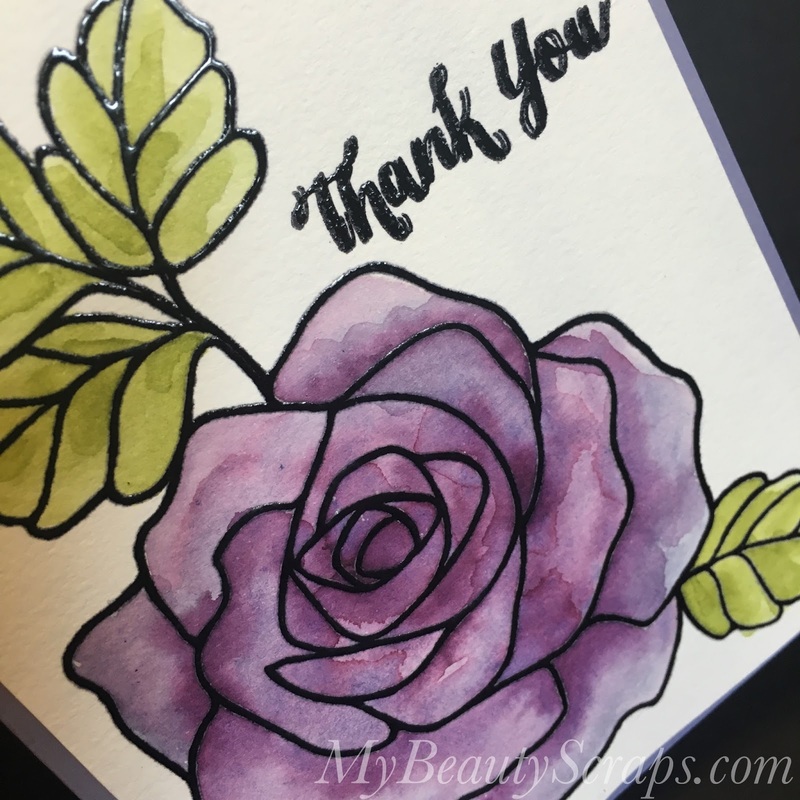 As promised, I'm here to share a closer look at some of the cards I created for this month's Blogging Friends Blog Hop. If you missed the hop, you can check it out HERE. 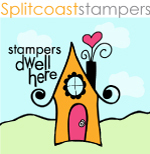 This month we all shared projects that we created with our favorite stamp set. It was so fun to see what everyone chose as their favorite! There are so many sets that I love so it was hard to choose one to feature, but I have been reaching for Rose Wonder over and over again! It lends itself beautifully to so many different techniques. It really is a must have! Today I wanted to show you how I created this card with heat embossing and watercoloring. For this card you do not need the coordinating die set, but I included it in the product list at the end of the post because when you buy it bundled together with the stamp set you will save 15% off of them both. And, if you love this set as much as I do, you are going to want the matching die set, too! 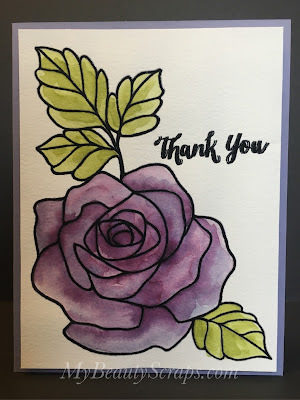 Card Base - Wisteria Wonder: 5.5" x 8.5" scored at 4.25"
Layer - Watercolor Paper: 5.25" x 4"
Stamp the Rose & "Thank You" in Basic Black ink onto watercolor paper and then stamp them again in Versamark ink. The photopolymer stamps make it so easy to line up the images! Heat emboss with Clear Embossing Powder. 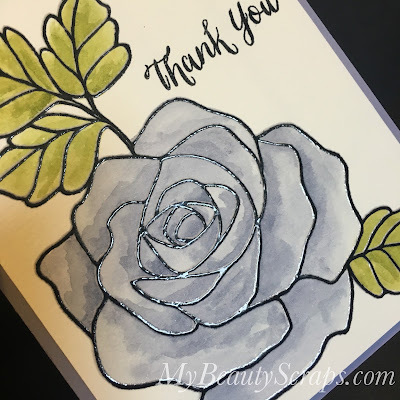 I prefer to do this "double stamping method" over using black embossing powder because it gives me the cleanest look. The next step is my favorite. I love watercoloring! 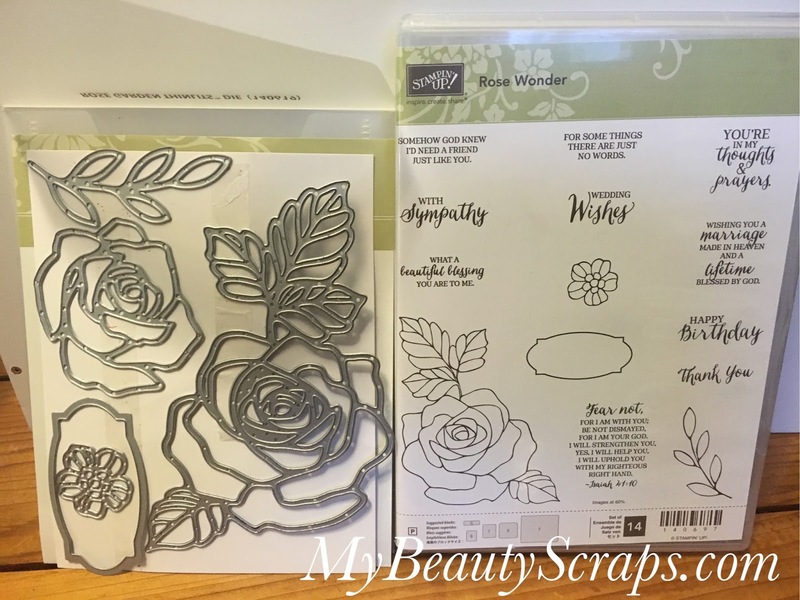 Watercolor the embossed Rose with an Aqua Painter and ink from your ink pad or ink refill. I played around with a couple color combinations that are pictured below. The last step is just to adhere the watercolor layer to the card base. I use Snail Adhesive on just about everything, but you need something a bit stronger for the watercolor paper. 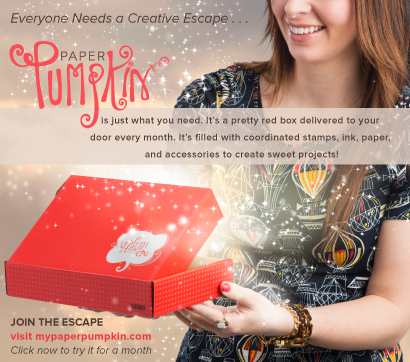 I used Tear & Tape, but you could also use Stampin' Dimensionals if you want to give it a bit more pop. I have all of the supplies listed below with links to my online store. And, that's it! A super easy and oh so elegant Thank You card! 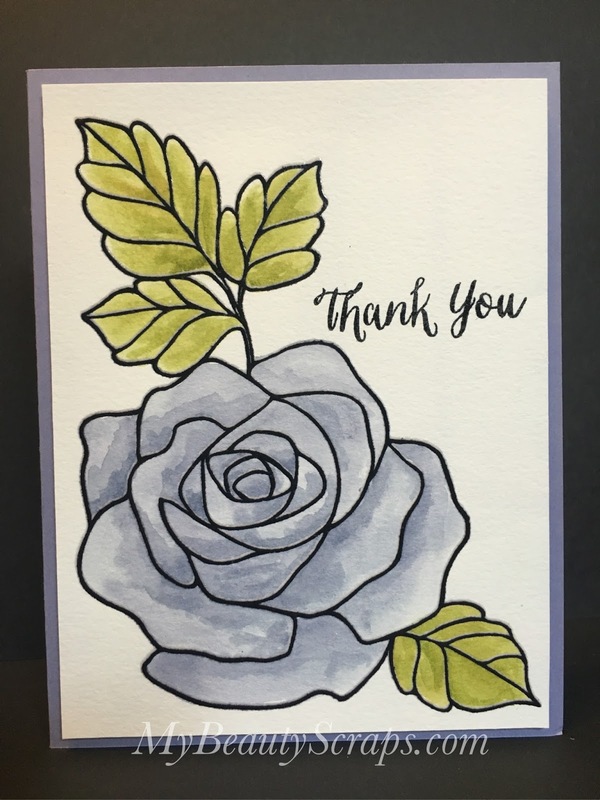 For this card, I watercolored the Rose using only Wisteria Wonder ink and my Aqua Painter. I used Pear Pizazz and Old Olive inks for the leaves. 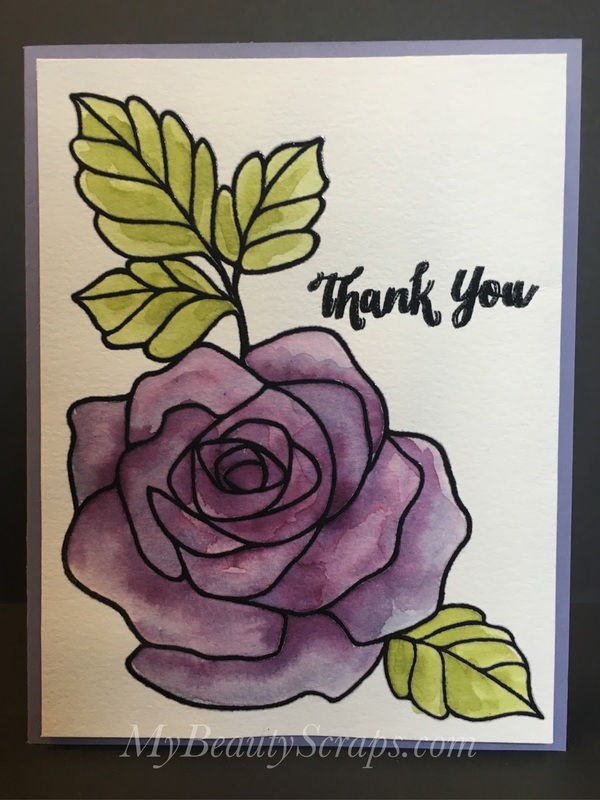 For this card, I watercolored the Rose using Wisteria Wonder and Elegant Eggplant inks with my Aqua Painter. I used Pear Pizazz and Old Olive inks again for the leaves. 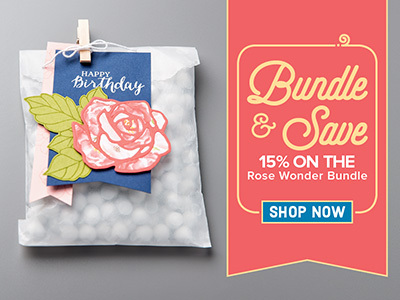 Remember, you can save 15% when you purchase the stamp & die set together. And, you do *need* both! The possibilities are really endless with this set!